This belt is 38mm (1½″) wide and made from high quality Italian leather. 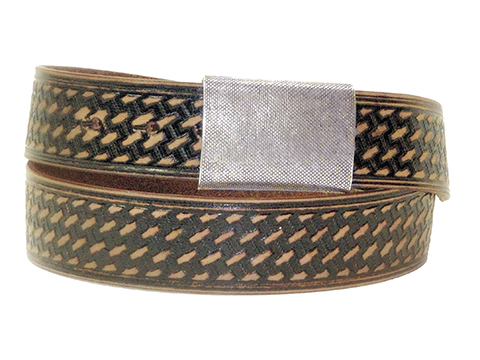 The strap has been embossed with a basket-weave pattern and aged to have that worn feel. It has an antique silver army style buckle.